And so it is! 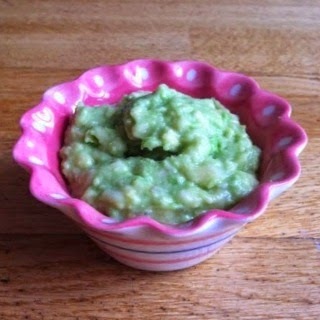 My mum used to make this for me and my sister when we were little and my Gramps called it "green slime"! So there you go! 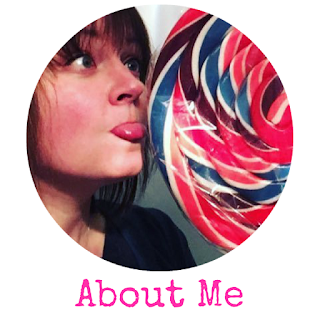 It's good for you from the inside and also on the outside and do you know what? After leaving the green slime in my face for about 15 minutes it does actually feel smoother and not dry any more plus the leftovers are sitting in the fridge for dessert! Avocado is well known for its fatty properties so is great for nourishing skin. Bananas have all kinds of vitamins that moisturise and possibly de-wrinkle your skin. From the inside, avocados provide healthy fats and vitamins. Bananas are high in potassium and stimulate healthy bacteria in your gut. 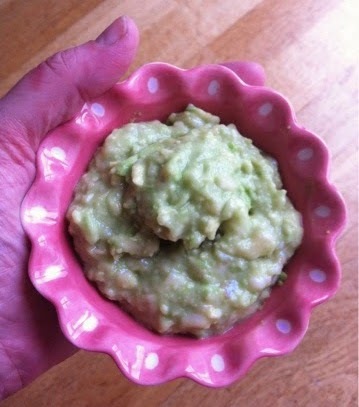 It's ridiculously easy to make to either smear on your face or eat for pudding - 1/2 an avocado mashed with a small banana! That's it!